SOUL FOOD for Young Adult Communities: October 6th 2013, 27th Sunday in Ordinary Time. Gospel: Luke 17:5-10. Find it in your own Bible or click here for Mass Readings for this Sunday. Reflection written by Sarah Kelly, a young adult. Have you ever found yourself in this situation, you make plans, perhaps to meet up with a friend, or you have decided to spend some time alone, to pray and reflect. Then out of no where, everything is changed by some unforeseen circumstance, and the plans you had previously made seem to fall around you like a house of cards. We’ve all been there. Something you had set your heart on for weeks, months, even years begins to take shape when out of the blue, that proverbial ‘spanner’ gets thrown in the works. This can result in us feeling sad, upset, angry, unwanted, foolish and quite often alone. When a plan doesn’t work out we always assume that this is the worse case scenario. But have you ever heard the saying ‘everything happens for a reason’. Yes? I firmly believe that everything happens for a reason, however, I believe everything happens for God’s reasons. 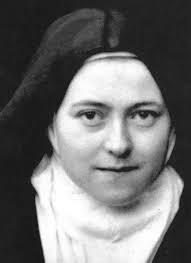 Therese Martin from Lisieux,- St. Therese, or 'The Little Flower', one great woman. remain silent and unnoticed, but God had other plans that would involve something quite spectacular. For example, I have mentioned the Little Flower on a few occasions, her main desire was to be hidden and she is one the most loved and known young saints. Another saint, Gemma Galgani wanted to be a nun, though due to poor health she never got the chance, yet she is known as the Gem of Christ. Another young woman, Julia Crostarosa, responding to God’s Call within her set off and entered a Carmelite convent; little did she know that, inspired by words and inspirations granted to her from God, she would later found an Order known as the Redemptoristines. 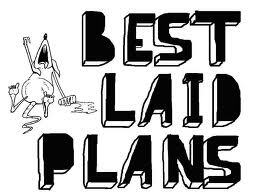 So the saying ‘we make plans, God laughs’, certainly rings true. None of the above ever planned such outcomes, they were merely doing God’s will. Even that young woman Mary from Nazareth, did she plan on becoming the Mother of Jesus? this tree, to be ready and willing to be uprooted and to allow God to plant us where ever he desires. As we read on a little bit, it says “we are no more than servants we have only done our duty”. So, like the stories of the saints, and even normal people in our world, when we allow God to work through us, despite what plans are altered, God always knows what He’s up to. We just need faith. So, dear friends, Pray for your faith to be increased and trust in God. For ‘Soul Food for Hungry Adult Communities’, for this Sunday, click here. ← Soul Food for Young Adult Communities: Sept. 29th 2013, 26th Sunday in Ordinary Time.